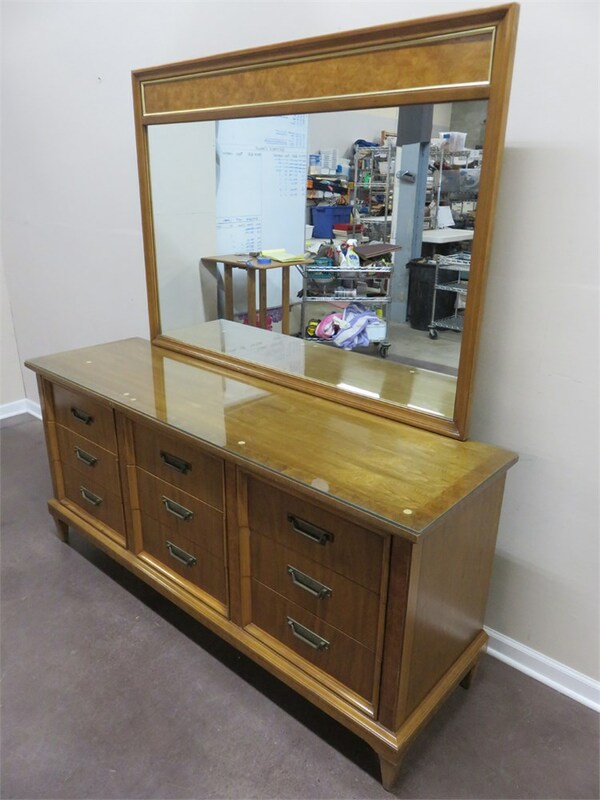 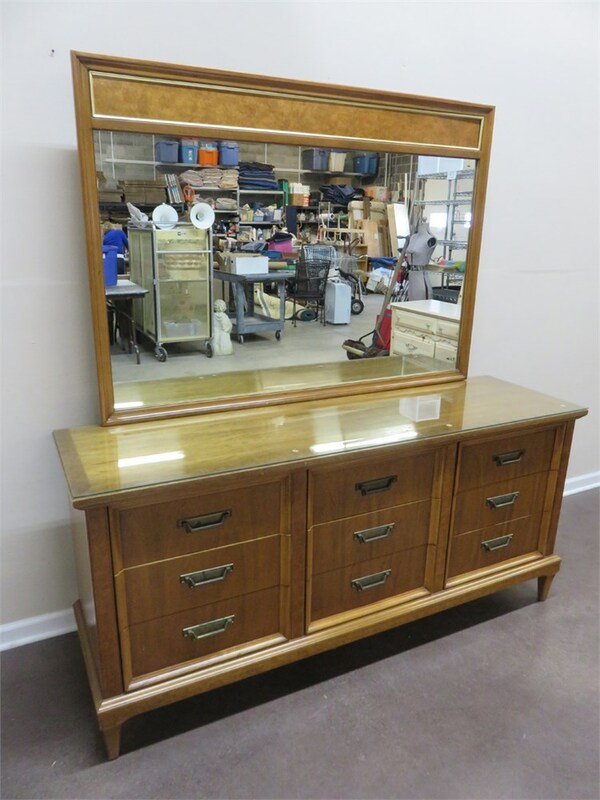 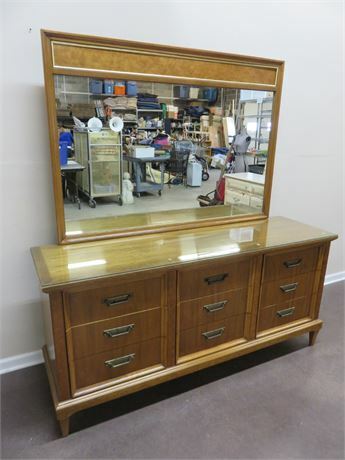 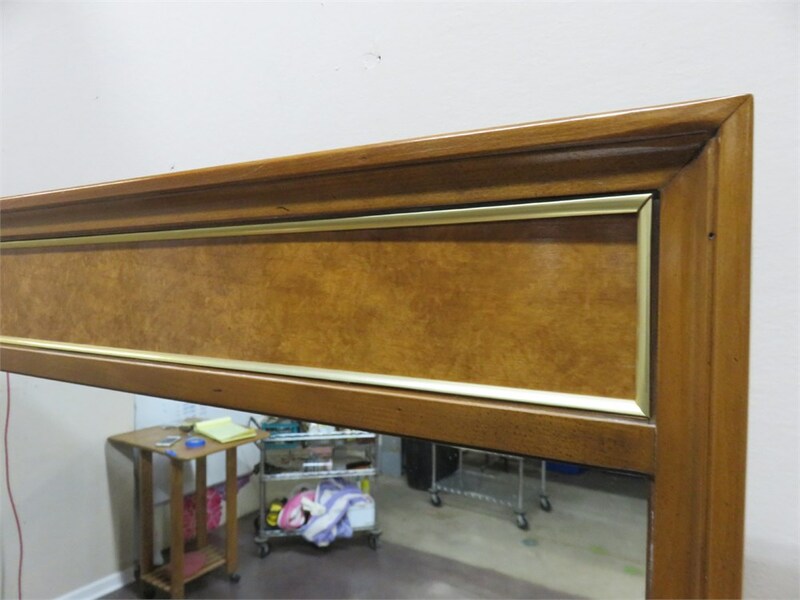 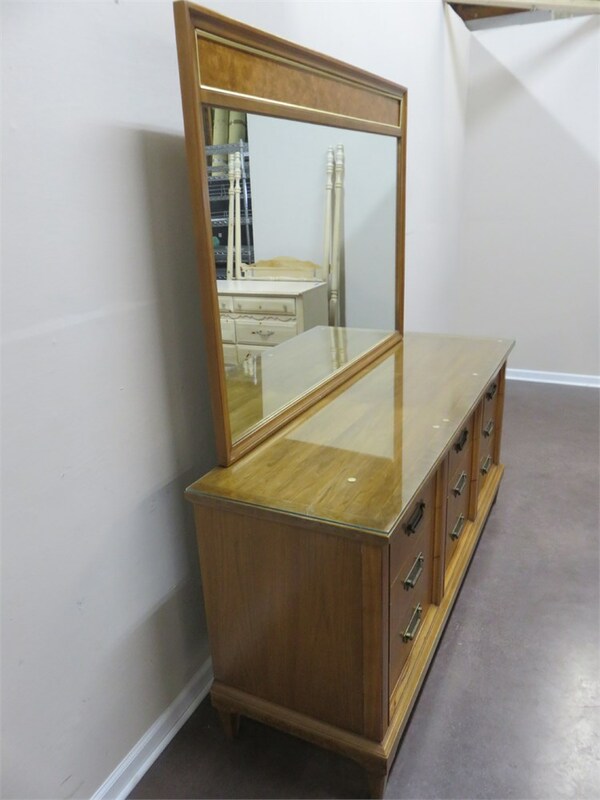 A great looking 9-drawer triple dresser and mirror from Thomasville Furniture. 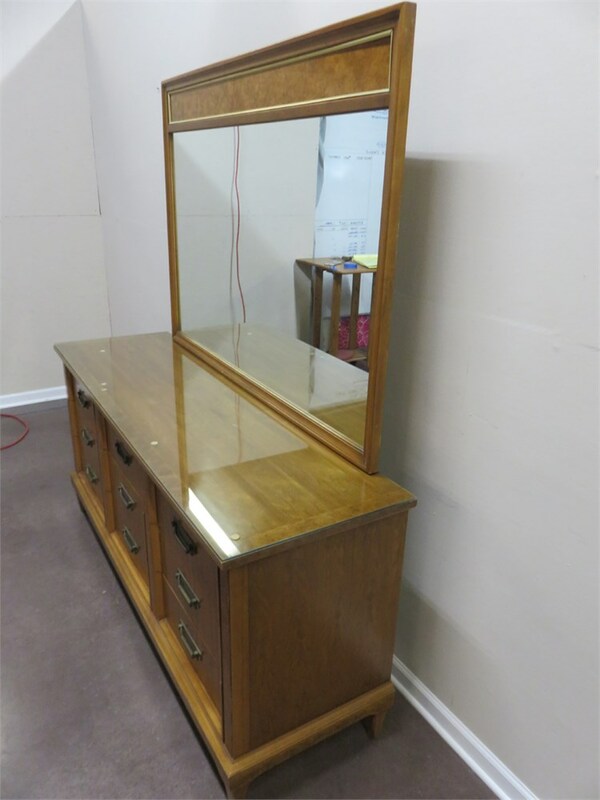 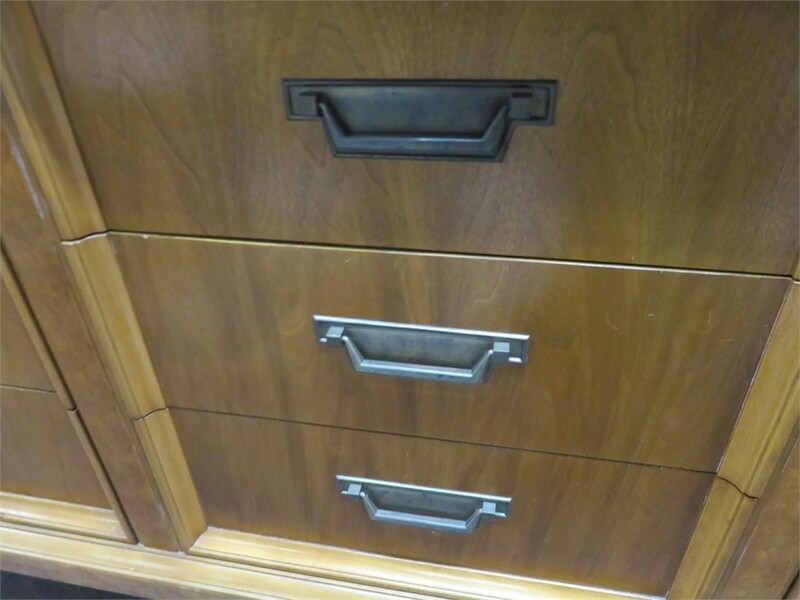 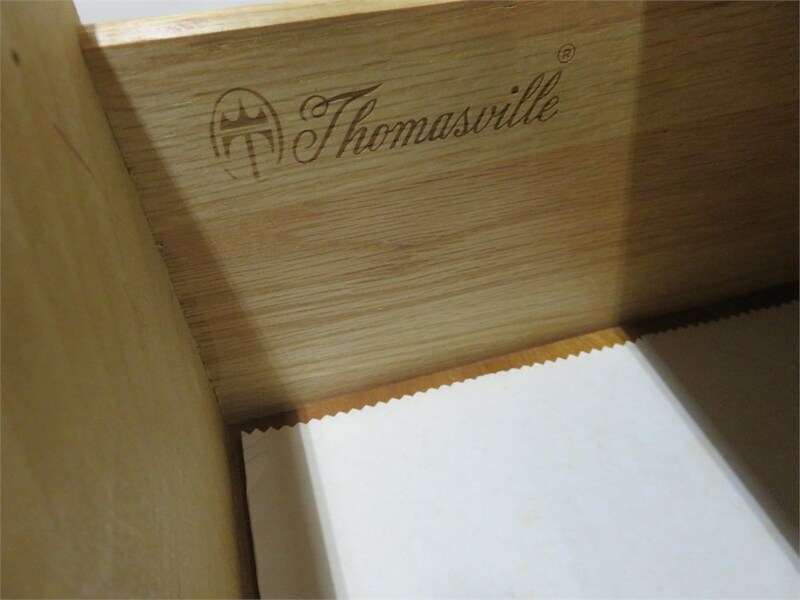 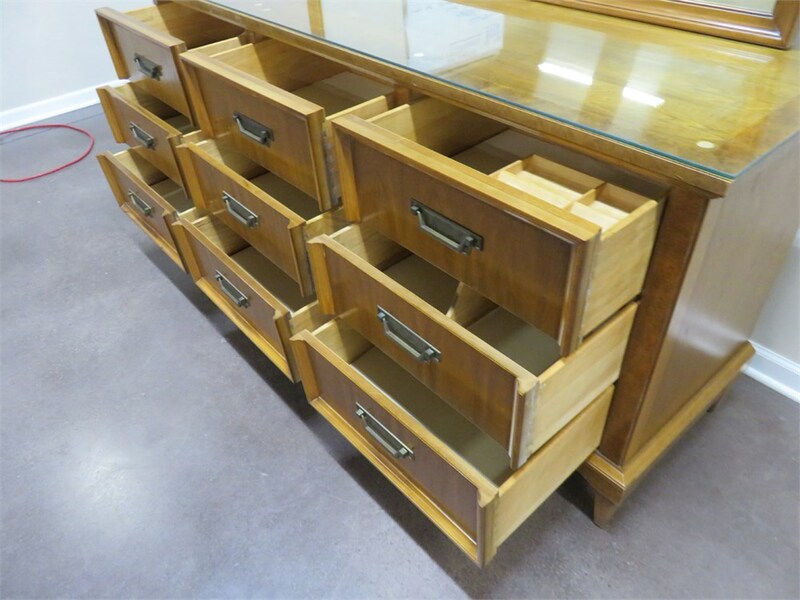 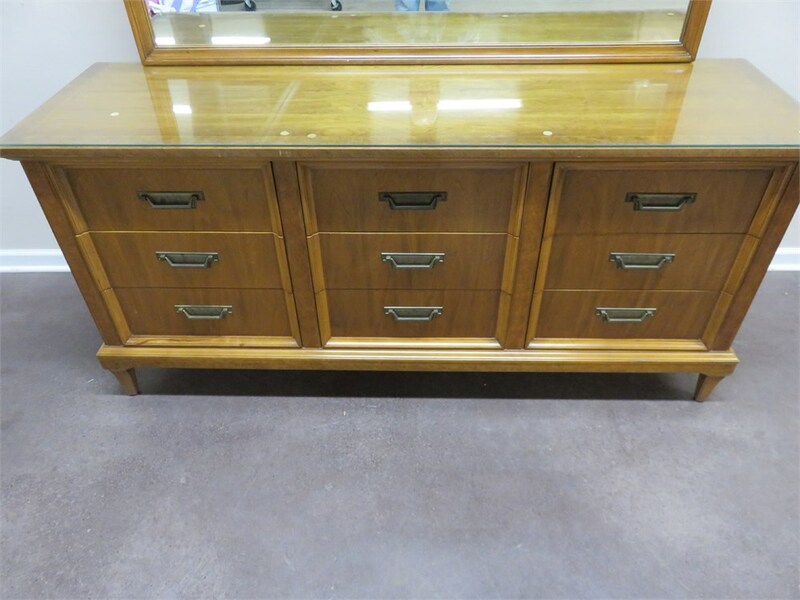 Features a glass top, dovetail drawers and stylish hardware. 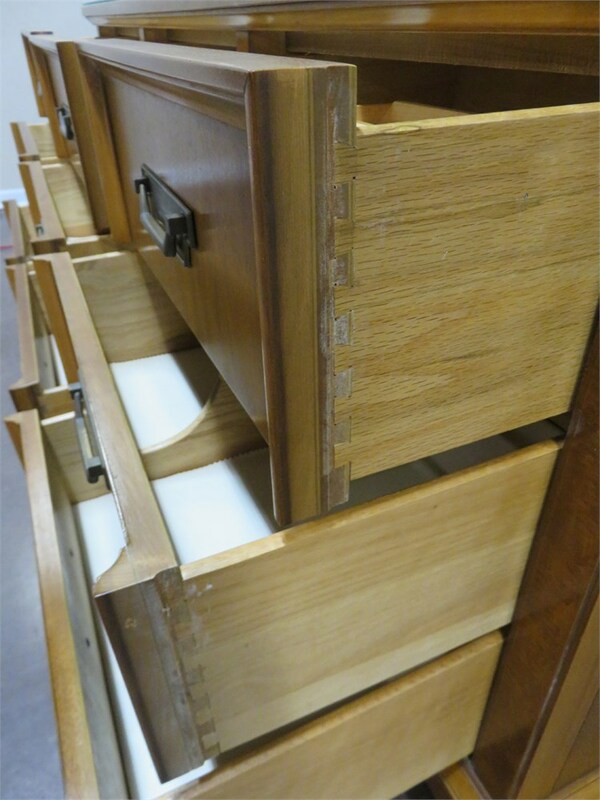 There is a matching chest, bed and nightstands listed in lots #8, #151, #152 and #153.